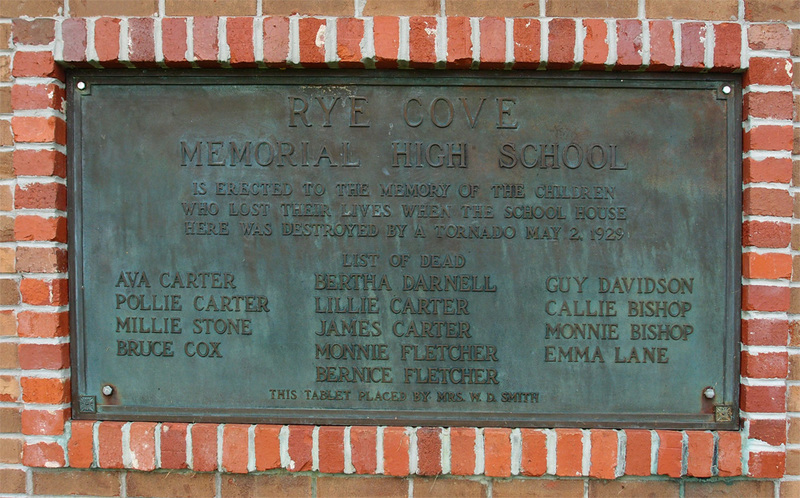 This plaque memorializes the 12 children and one teacher who died in the May 2, 1929, F2 tornado that hit Rye Cove school just after noon recess. 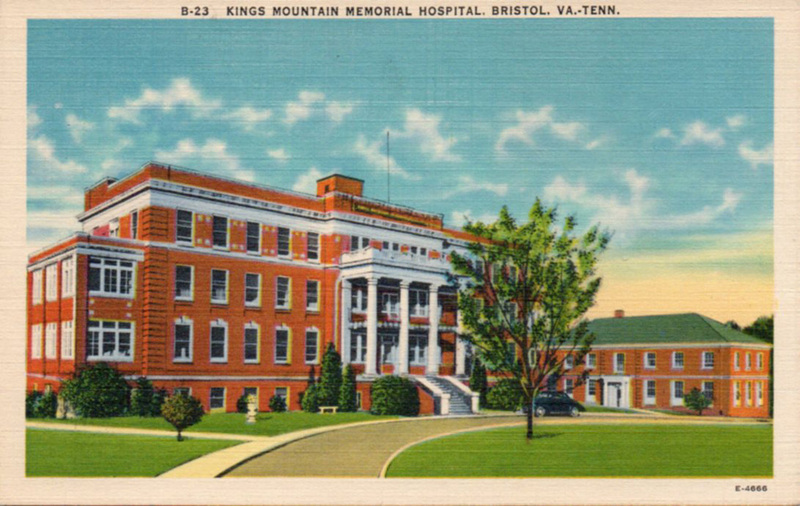 It is known as the deadliest tornado to ever hit Virginia. There’s a sad account of the day after the tornado here. 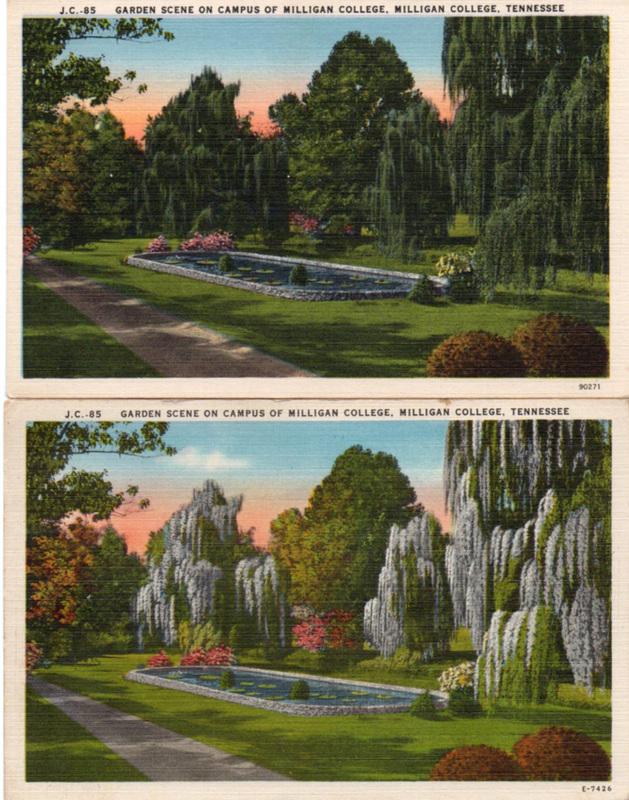 These two Asheville Post Card Company issues are both titled ” J.C. 85 GARDEN SCENE ON CAMPUS OF MILLIGAN COLLEGE, MILLIGAN COLLEGE, TENNESSEE”. However, the top one has an inventory number of 90271 and the bottom one, E-7426 (I have yet to find any list of dates for APPC inventory numbers). I see this a lot. The original picture was probably taken after WWII. 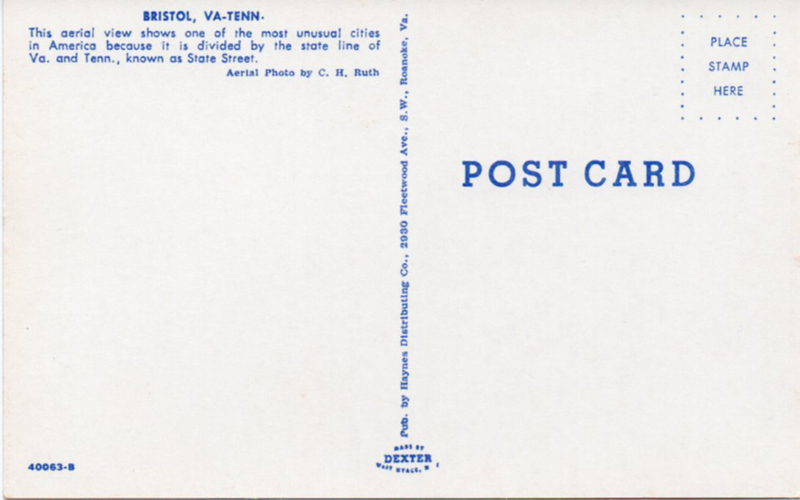 When someone ordered up a run of this card later on, APPC just recycled the picture and adjusted the colors to create a different-looking card. 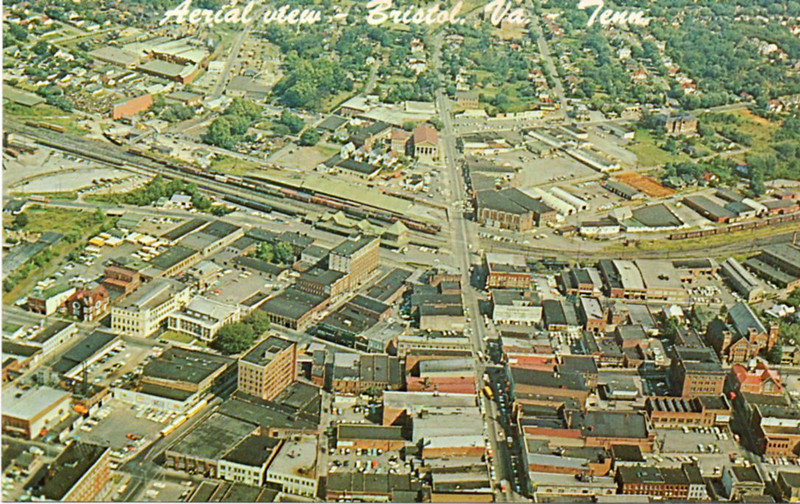 Aerail view – Bristol, Va.- Tenn. 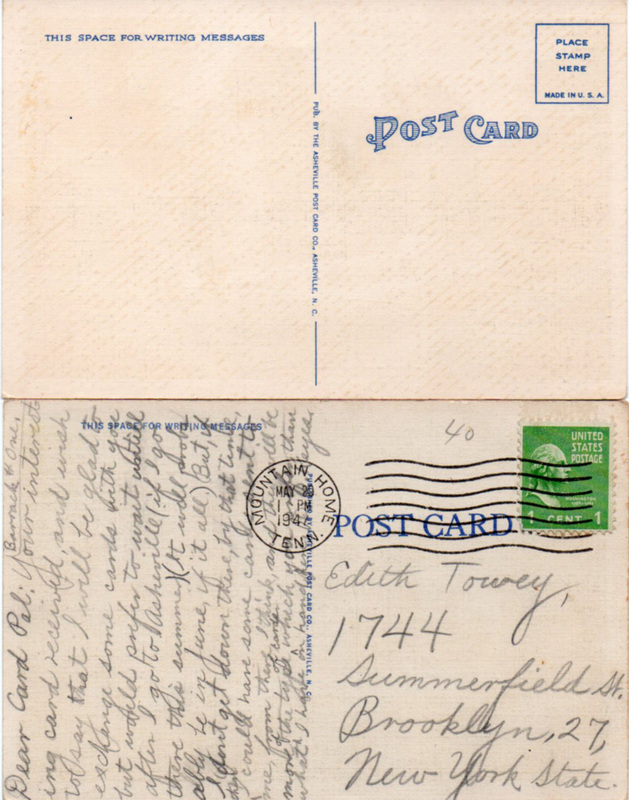 This card had faded somewhat, so I brought the color up and used an all-purpose unsharp mask. 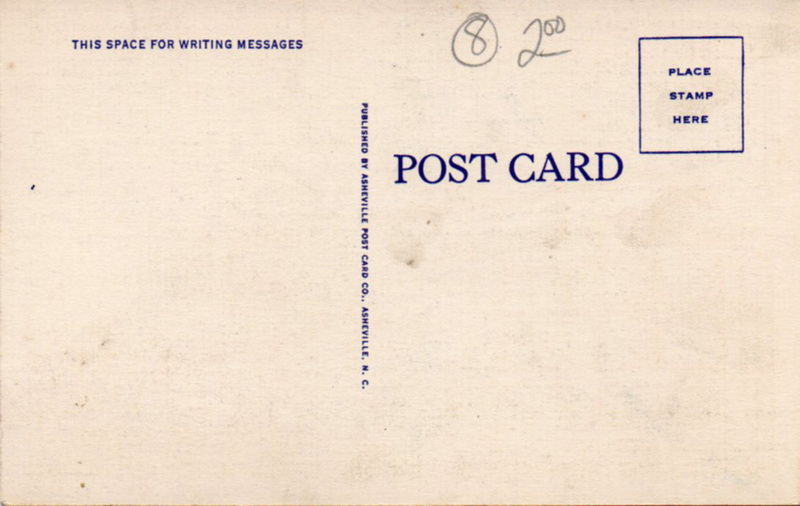 It’s a Haynes Publishing Company (Roanoke VA) issue from the early 60s. Haynes cards that haven’t had a lot of light exposure tend to have bright colors. Joyce Haynes and C. H. Ruth, the agents who shot all the pictures in the area, were probably using Kodachrome. Damn fine film. 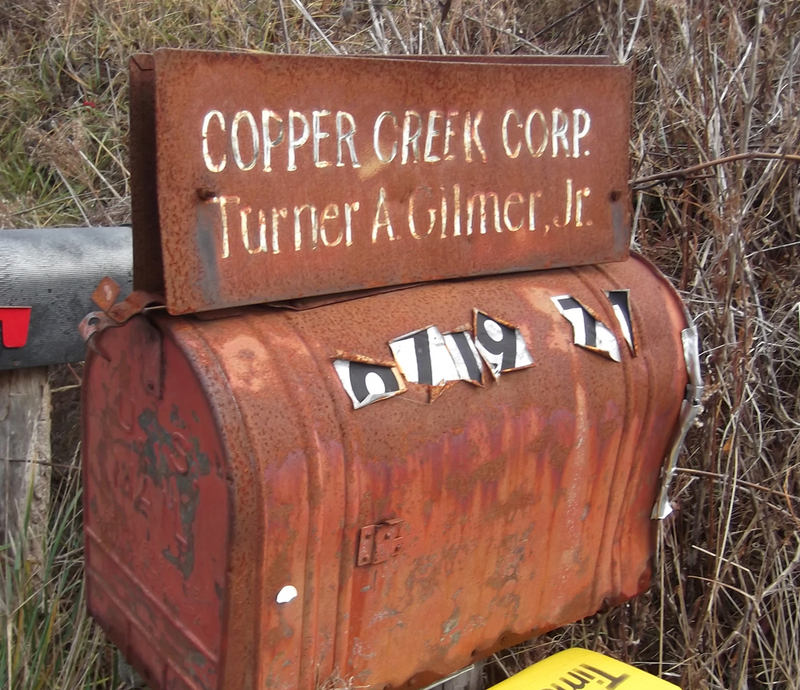 Turner A. Gilmer, Jr., according to my research, died in 2011 at 90 years of age. His father was a banker and his mother was in journalism. Turner A., Jr. lived in Castlewood. The corporation was in farming and livestock. Looking inside the building, I saw a big world map hanging on the far side window, apparently to block the late afternoon sun. There were working tables, a drafting table, a boat anchor of a computer and CRT and miscellaneous papers and files. 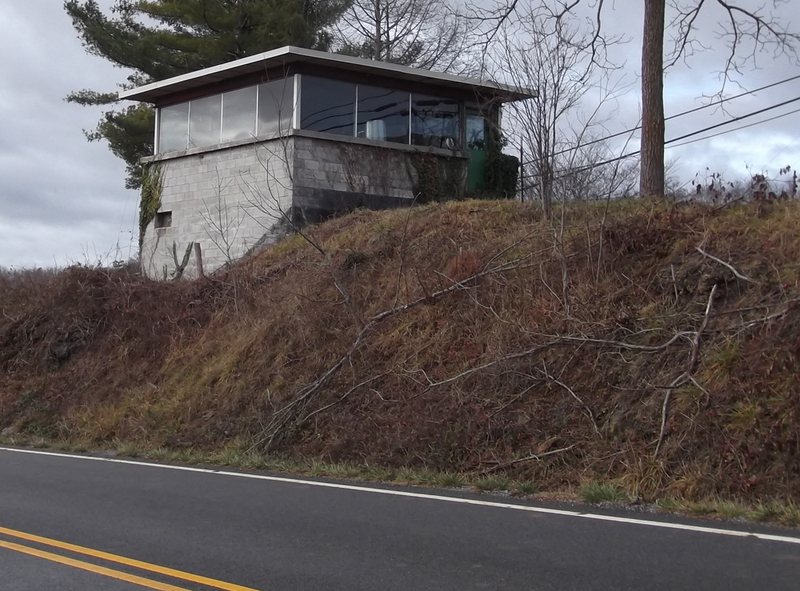 It looked pretty abandoned. It’s an A-frame of some sort, but the door is wide open. 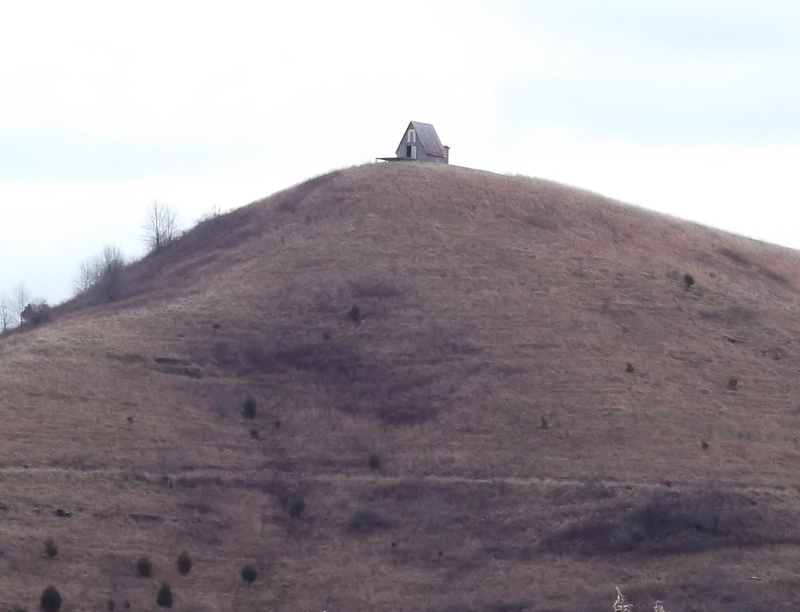 I can see it on Google Earth at 36 48 46.82N, 82 15 46.83W, but there doesn’t appear to be easy access to it. There was a road once, but it’s overgrown. Surprisingly, it’s only about 370 or so feet above the highway.